BEIJING, May 24 -- A Chinese mainland official Wednesday called on Taiwanese business people on the mainland to uphold the one-China principle and help protect the political foundation of the 1992 Consensus. 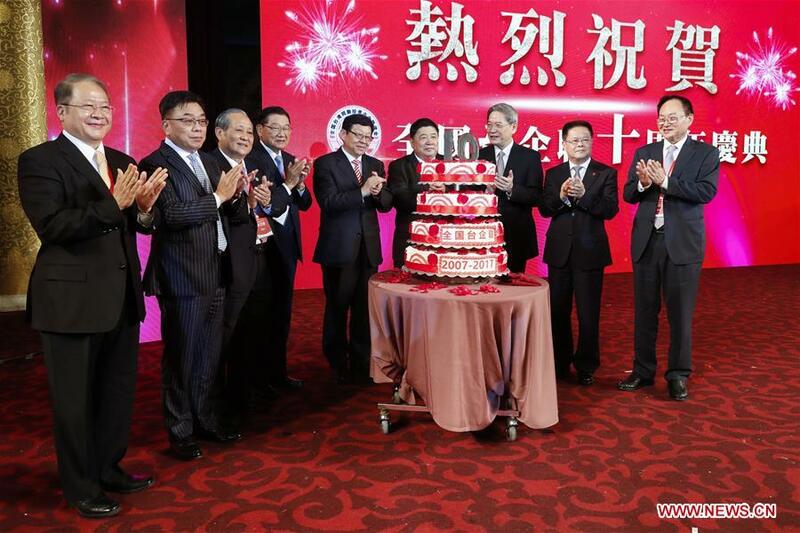 Zhang Zhijun, head of both the Taiwan Work Office of the Communist Party of China Central Committee and the Taiwan Affairs Office of the State Council, made the remarks on the 10th anniversary of the Association of Taiwan Investment Enterprises on the Mainland (ATIEM). He asked ATIEM and Taiwanese business people to oppose "Taiwan independence," maintain the peaceful development of cross-Strait relations and deepen exchanges and cooperation. Zhang also called for the boosting of cross-Strait economic and social integrated development and more contribution to the great rejuvenation of the Chinese nation. Wang Ping-Sheng, chairman of ATIEM, said the association would uphold the one-China principle and resolutely oppose "Taiwan independence" and continue to work for the peaceful development of cross-Strait relations. Over 400 people, including Chen Deming, president of the mainland-based Association for Relations Across the Taiwan Straits, members of ATIEM and representatives of Taiwanese businesses, attended the anniversary event. Founded in 2007, ATIEM is a non-profit social organization and consists of around 300 Taiwanese-funded enterprises and their associations on the mainland.